With canyon bluffs overlooking ancient mesas, limestone cliffs, and crystal clear lakes, Oklahoma offers an exciting range of wonderful vistas. 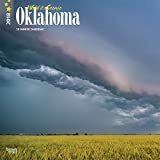 In the summer when dramatic storms come blowing in from the west, accentuating the beautiful landscape, the Sooner State is transformed into a wilderness of striking beauty. Adding to the appeal of this legendary land are wild blue sage and grounds sacred to the Choctaw tribe. 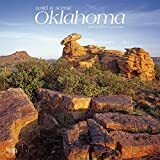 Explore wild and scenic Oklahoma with this photographic square wall calendar. 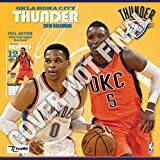 Made for passionate basketball fans, this team wall calendar includes poster-sized action shots of your favorite players from the Oklahoma City Thunder every month! Each month also includes professional athlete bios and sporty graphics featuring Thunder team colors and logos. 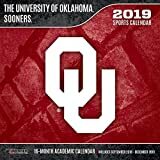 Made with exceptional quality, the 12x12 calendar also includes bonus pages that feature Sept. - Dec. 2018 and the past NBA Finals results! 12-month format (January 2019 - December 2019). Dimensions: 12"w x 24"h (opened). Full-color, superstar action photos. Includes professional athlete bios. Bonus page featuring September - December 2018.